When I pick services, restaurants, or even download apps, I always research their ratings first. I rely on a system where an audience of other users or buyers give their (hopefully) unbiased opinion about what I am about to purchase. What if we turned the tables and allowed companies to rate the users? This is Social Credit. A system where your personal behaviours, purchases, and even friends, influence how a company treats you. Sounds like science fiction, but it’s already in play. And it only makes sense. As a company, wouldn’t you rather give preference to the people who are more responsible, have better loyalty, and respect your rules? Many people were first exposed to this concept in a popular episode of Black Mirror called Nosedive. The story revolves around Lacie, a 30-something living in a future world where everyone has a personal score between one and five. To get this ranking each interaction between people is rated by those involved, whether it is buying coffee or small talk in an elevator. Additionally you can increase your score by getting liked on an Instagram-esque app or by keeping a circle of connections with high scores. It results in a lot of fake conversations and focus on upping scores over living life. Lacie starts as a 4.2. She longs to be a 4.5 so she can purchase a house in an exclusive neighbourhood. As the episode unfolds, her circumstances have her lose points which affects her ability to rent a car or gain access to some buildings. We are not at this extreme, but you may already have some kind of social credit. In shared economy services, where you loan out your own car, apartment, or equipment, the users are able to rate the service providers and vice versa. When you take an Uber, the passenger rates the driver out of five stars. This keeps drivers aiming for exceptional customer service and allows the Uber company to track their driver’s performance. Drivers also rate passengers. If you are consistently late to come to the door, are very drunk, or very messy, then a driver can indicate this, thus giving other drivers the opportunity to turn you down for service. (To access your rating on Uber, open the app and touch the menu. Your score is the number displayed under your name.) This circular system where people ‘self police’ keeps everyone on their best behaviour. AirBnB has a similar rating program. When I use AirBnB, we rate the places we stay and in turn, the hosts can rate us back. Low ratings are given to people who leave the places a mess or who do not abide by rules. Users with high AirBnB scores are rewarded with the ability to auto-book places without approval. People with low scores risk getting rejected for bookings altogether. It is only a matter of time before the scores from separate systems are joined together. That way other online booking systems, like Open Table for reservations, can prioritize customers with better track records, and deny those who tend to skip out on bookings. In 2015, The Alibaba group in China launched Zhima Credt, also know as Sesame Credit. The concept is that you have a score ranging from 350-950 and are rewarded based on a higher score. Those scoring above 700 are likely to see discounts on services, shorter line-ups, and better selections on dating apps. Those with very low scores are forced to pay deposits, denied some travel options, and are less likely to get loans. Alibaba is an Amazon-like service in China. They also own Alipay, which is an extremely popular method for payment from your device. As such, the company has access to the majority of a user’s financial data. The Chinese government has also furnished them with records of infractions including parking tickets and unpaid fines. Add to this connected social networks and suddenly Sesame Credit has a full picture of a person’s lifestyle and habits. Much like Black Mirror, a user’s score can be augmented by responsible purchases, good jobs, and connections to others with high scores. Conversely, a user who plays video games for 10 hours a day is considered lazy and would lose points. 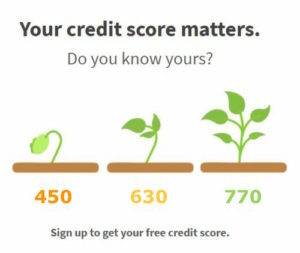 Every user can view their score as well as their connections. If someone in your network is low it brings you down so you have the option to help them or disconnect. Though the self-policing method sounds promising – why wouldn’t you want a society of people on their best behaviour? – Sesame Credit is ultimately run by the Chinese government. That means that if you share a link that opposes their policies, they can lower your score. If you purchase products from out of country instead of within, they can lower your score. Suddenly all the benefits of the services you use are directly correlated to how well you do what the government wants. And that is a frightening prospect. China is aiming to have the entire country on Sesame Credit by 2020. As with all things online, be aware of the data you are sharing with these services. And as Sesame Credit has taught is, choose your actions, and your friends, wisely.